Riding a bike instead of driving is certainly one way to live a more eco-friendly life. You can make things even greener if you’re riding an eco-friendly bike, though. 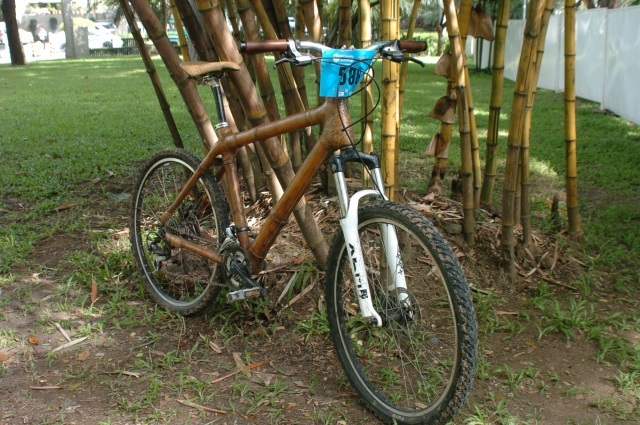 Bambike (Bamb EcoLogical Technology Inc.) offers a number of bicycles made out of bamboo and feature a rattan seat. The bikes are handmade by people who are involved with Gawad Kalinga, a Philippine community development organization for the poor. Check out all their different models here. You can find different bikes for cruising and even off-road biking.